Car brand MINI is known for its small, economical cars, but for the new 2019 MINI Countryman, the company wanted to emphasize its new, bigger cargo space, taking a creative approach and launching the “Created in a Countryman” campaign. 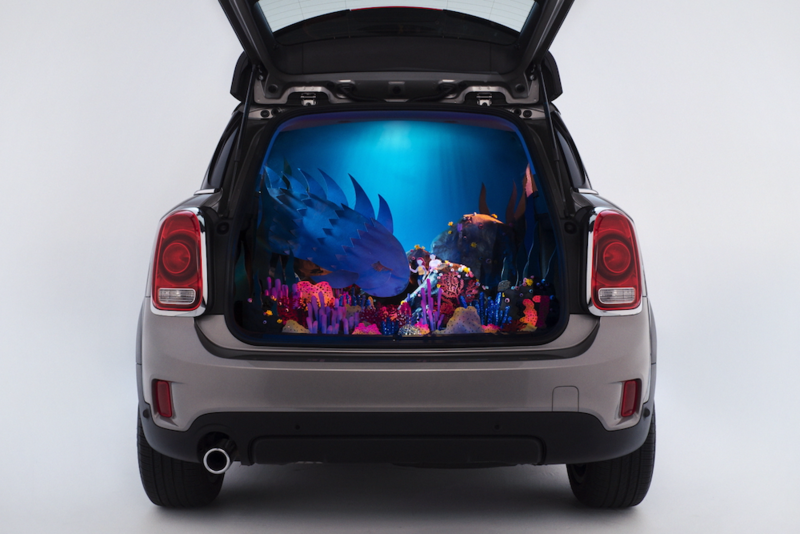 Stop-motion animator Kirsten Lepore worked with diorama team Nix + Gerber to create two short films that take place in the trunk of the new Countryman model, utilizing the 46.7 cubic feet of full space in order to tell little stories. Both movies took three days each to create and film, and will be featured at The Other Art Fair in Los Angeles, running from October 24 to 28.